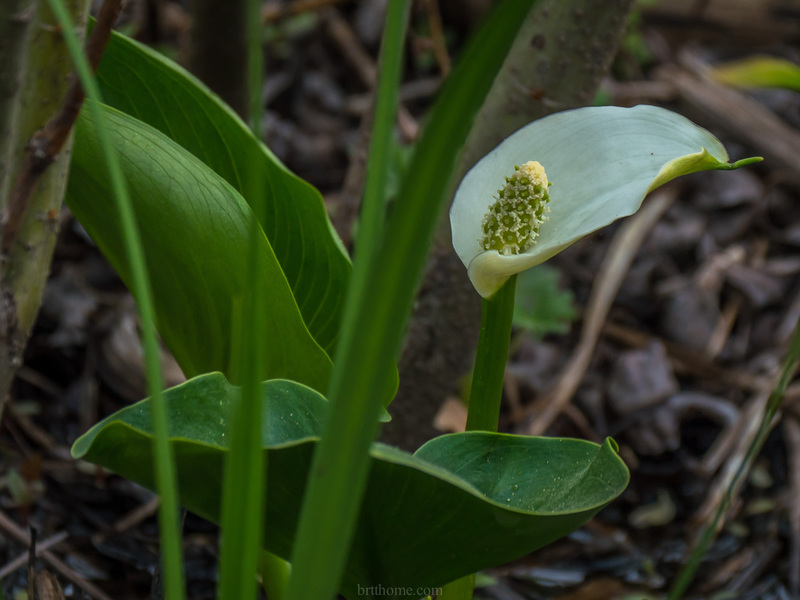 The occasional wild calla lily is blooming in the ditches along Hwy 529. 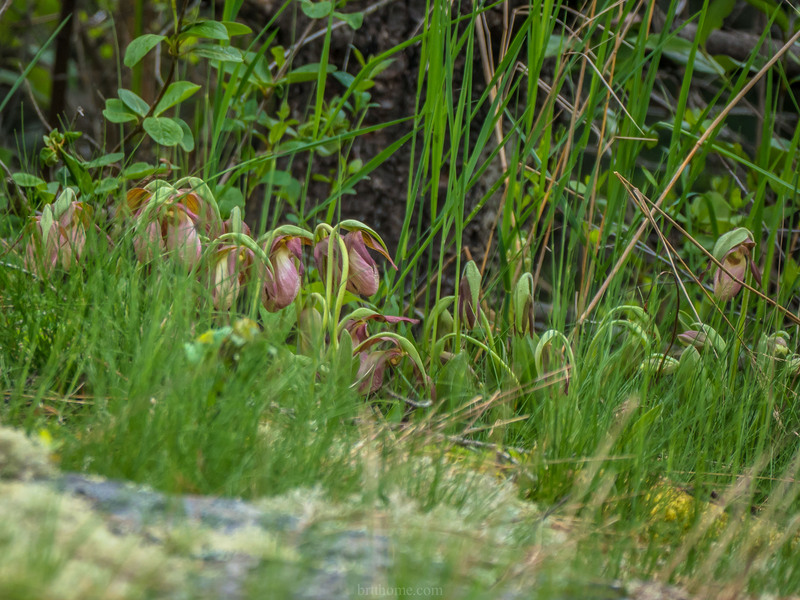 Every springtime I am reassured to see this nice patch of Pink Ladyslippers on the property I had on Riverside Road. 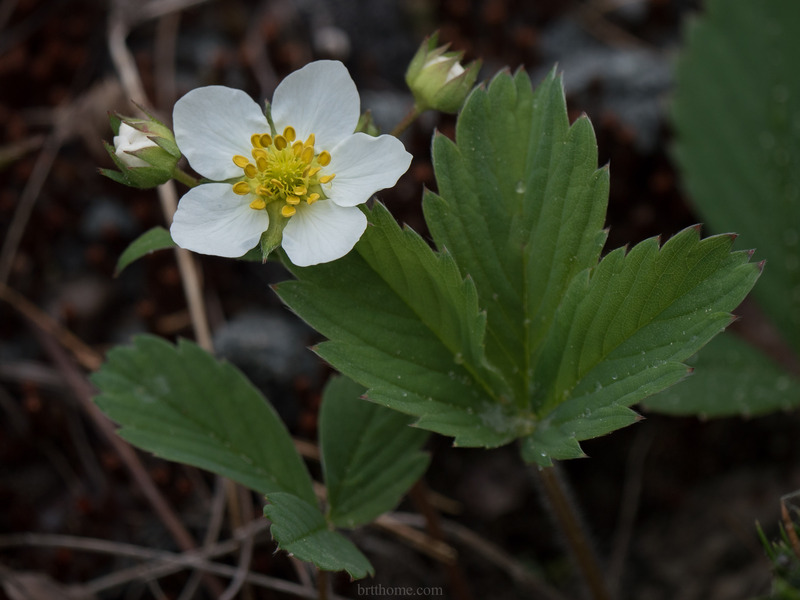 22 years ago there were about half a dozen blooms — so they are doing well …. 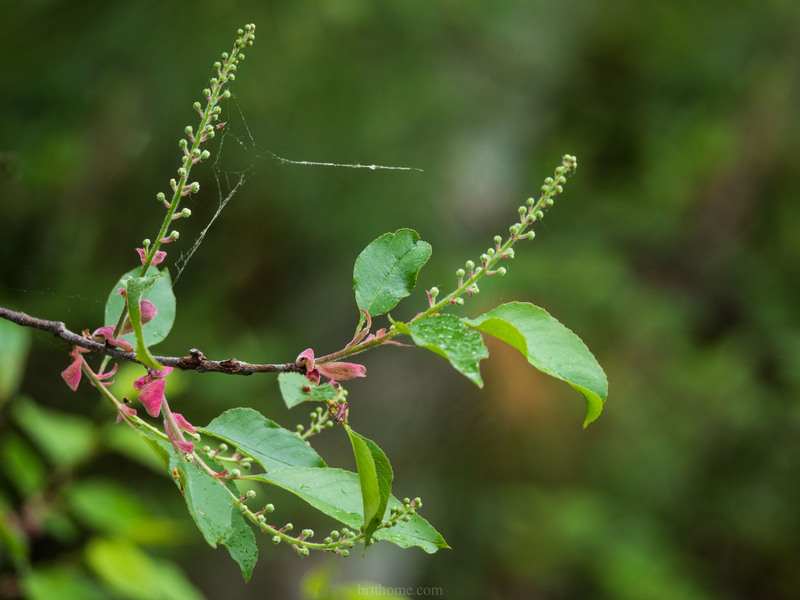 Sometimes I see these reddish leaf remnants on Black Cherries (P serotina), never on Choke Cherries (P virginiana). 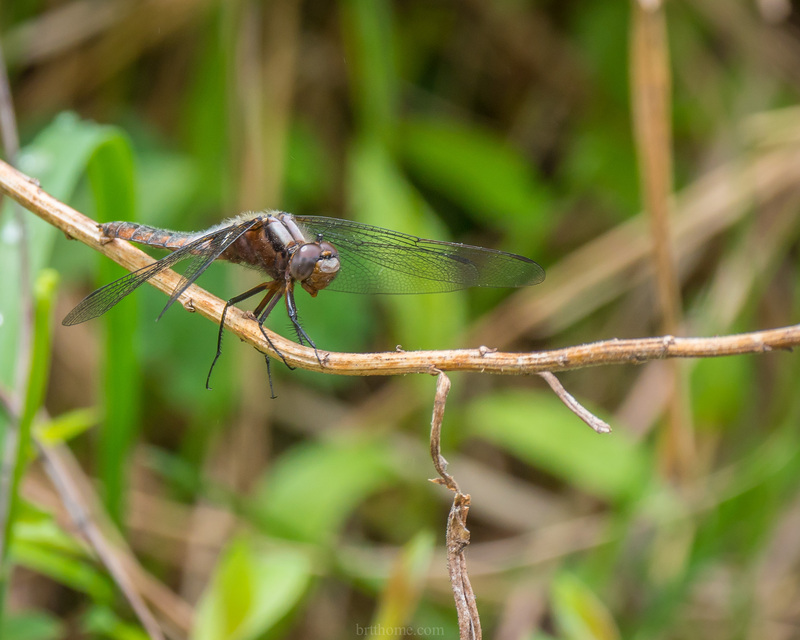 Another identifier when looking at small trees? 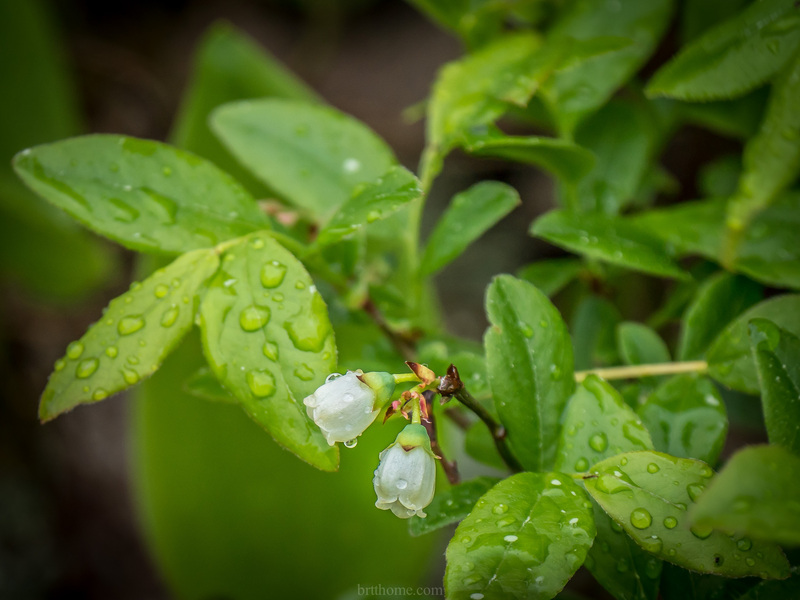 We have a small number of Blueberry blossoms this year. I fear that the absence of pollinators will result in a small crop for 2018. 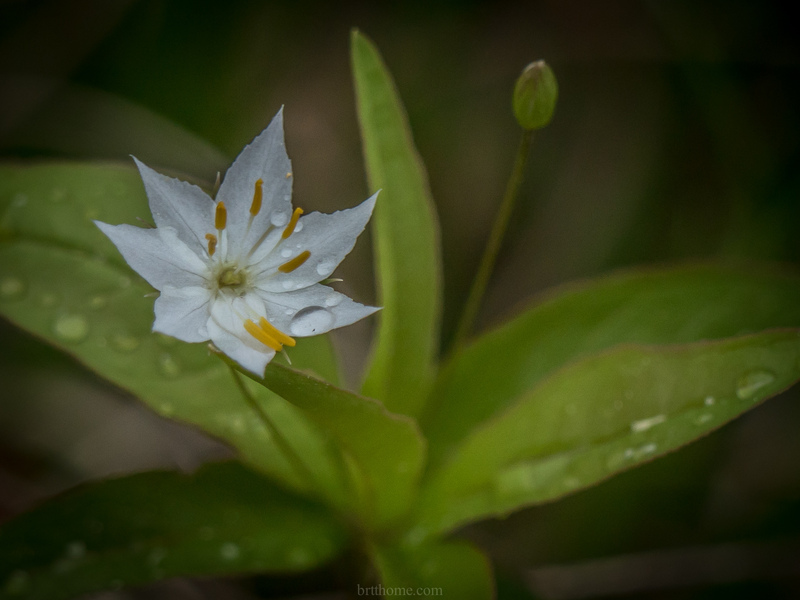 Starflowers are in their diminutive glory …. 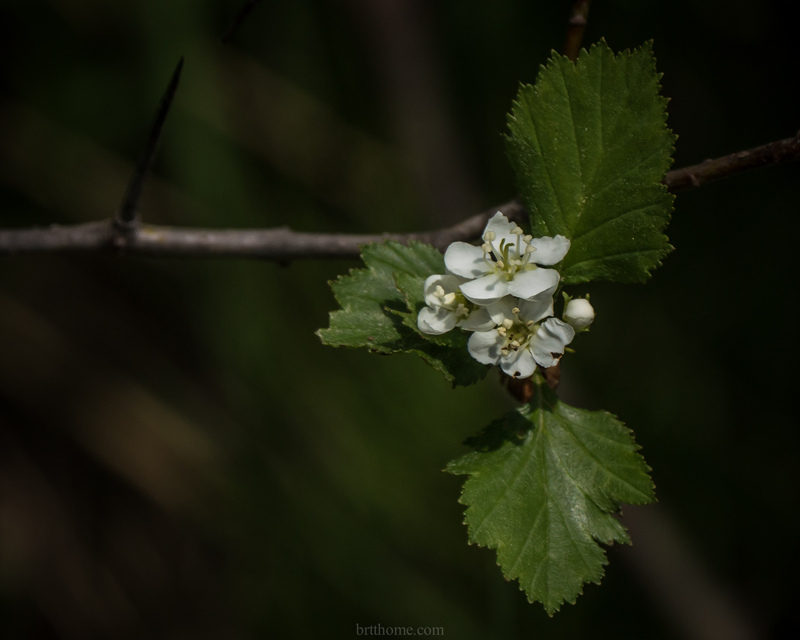 I am still trying to identify this small flower. 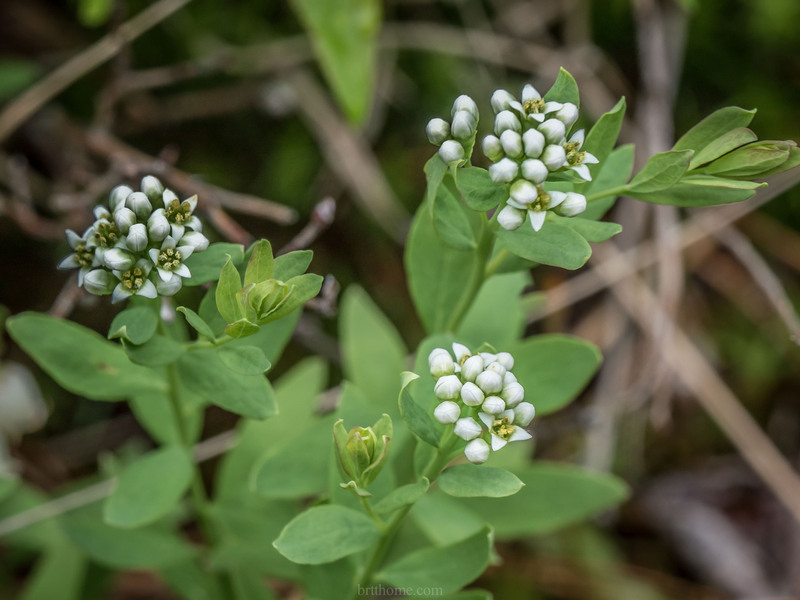 The stalks are about 15 cm high and grows along wet mossy roadsides, often along with wild lily of the valley…..
Eastern tent caterpillar on a Chokecherry shrub. Eastern tents attack cherries predominantly. 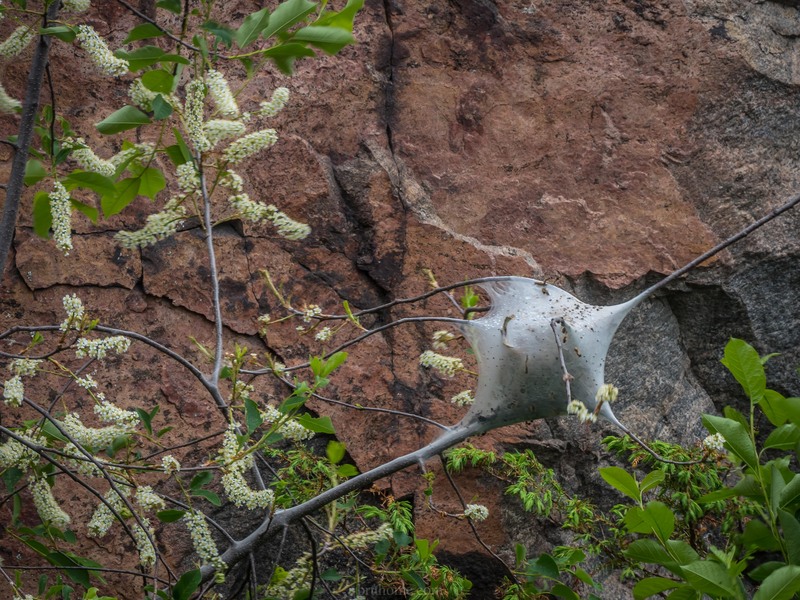 The other common tent caterpillar, the Forest Tent Caterpillar is at a population maximum in Northeastern Ontario this spring and is causing defoliation of Sugar Maple and Poplar trees. 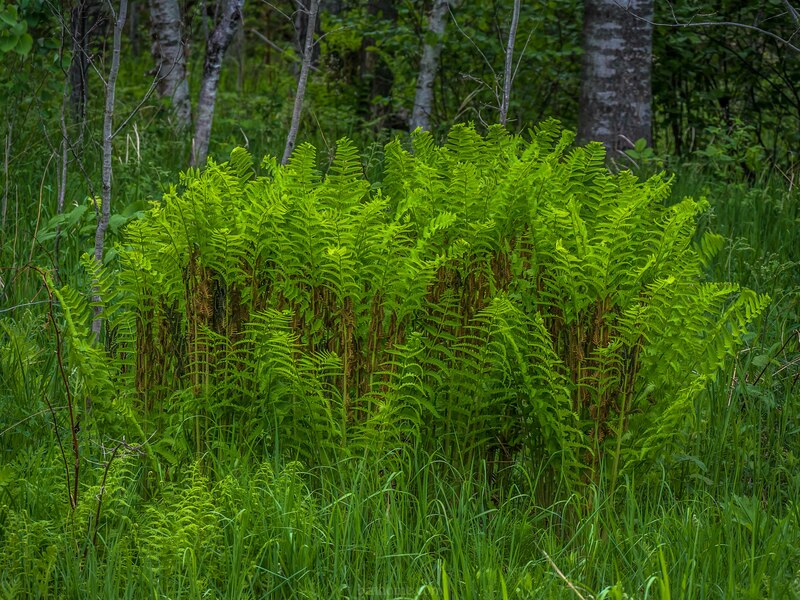 If it is just a one-year attack the trees will probably recover with no ill effects. 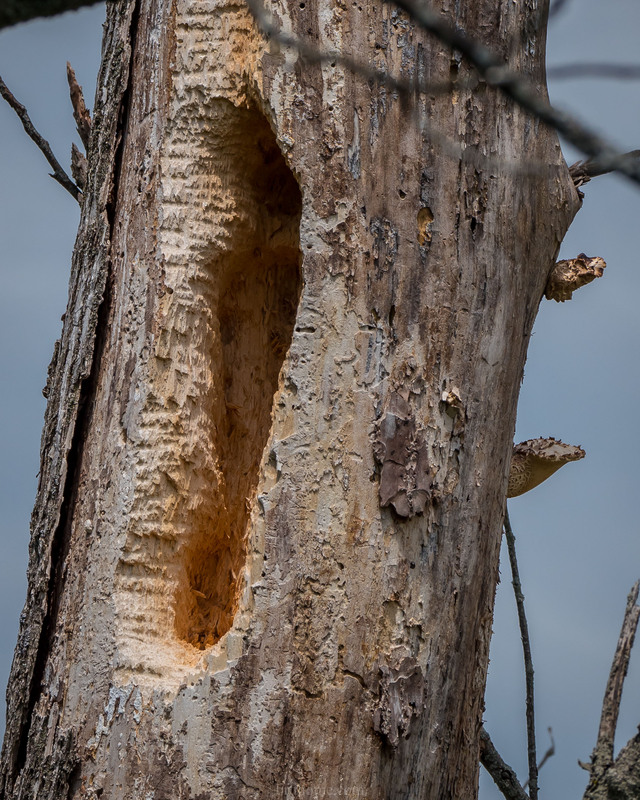 Attacks for several years in a row can cause damage or even death to the affected trees. 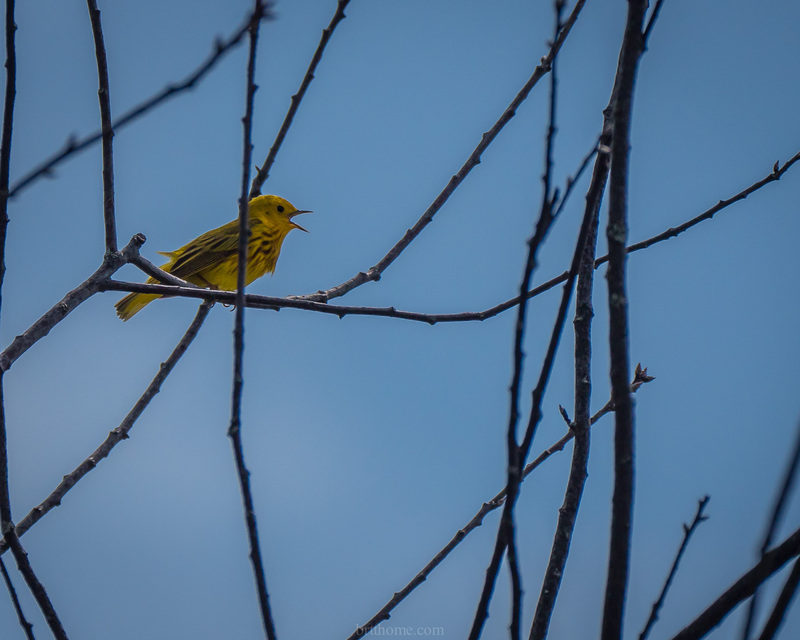 This Yellow Warbler seems to be having a conversation with the birdie (below) on the same tree. 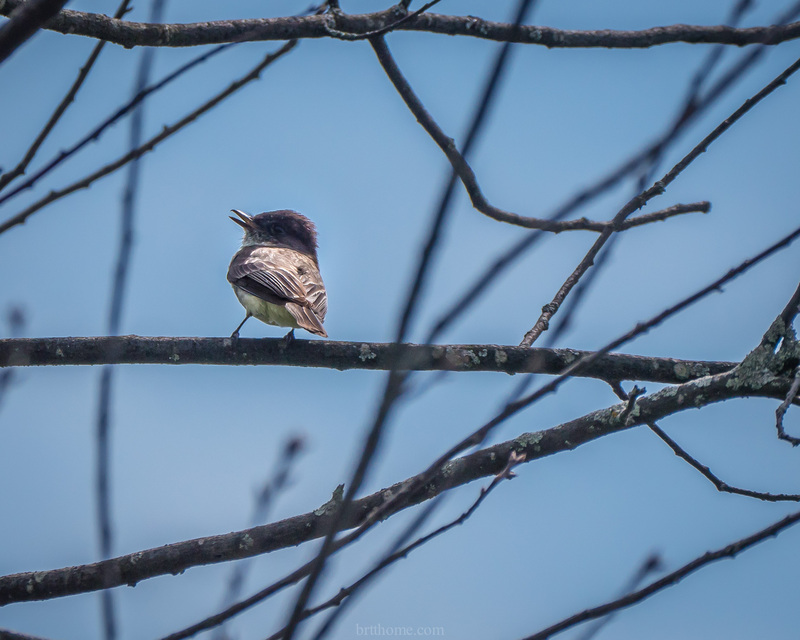 This Eastern Phoebe was flitting its tail and talking back to the warbler with its characteristic “feeee beeee” sounds….. 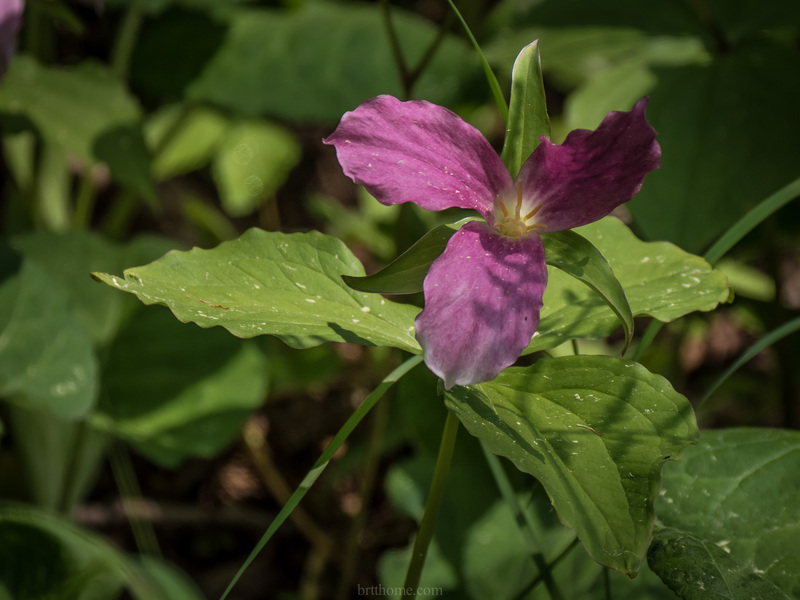 The last of the Trilliums …. 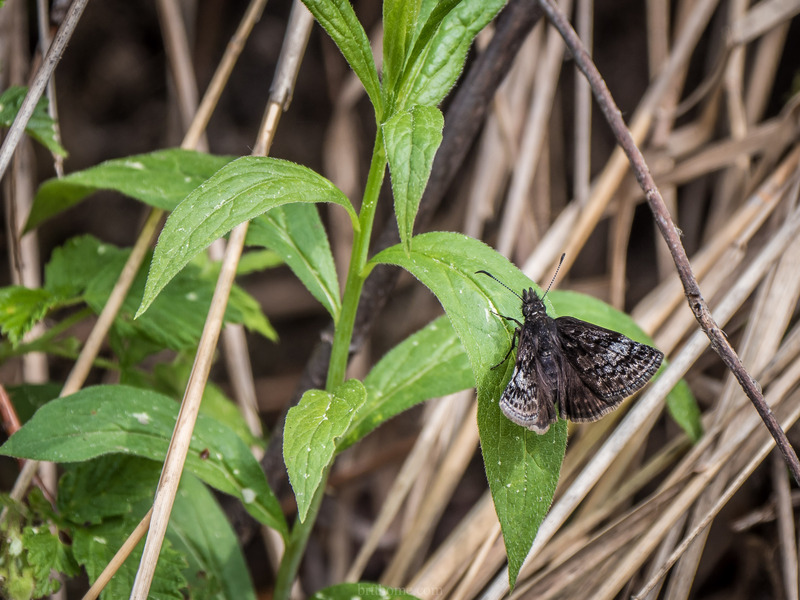 This might be a Dreamy Duskywing …..